Mark Rudy has been named as one of the top 500 judges/mediators in America by Lawdragon, rated a top 10 mediator by the San Francisco Recorder, one of the top 100 Northern California SuperLawyers for 13 consecutive years, ranked as one of the top 10 SuperLawyers in Northern California in September 2007 and in September 2010, one of the best mediators in the State of California for every year which ratings have been done by the Daily Journal, and one of the top five plaintiff employment lawyers in Northern California, San Francisco Recorder, Summer 2004, and awarded 2013 Mediator of the Year by the San Francisco Trial Lawyers Association. Mr. Rudy has now mediated, both as an advocate and a mediator, over 4,000 employment matters since July 1988. Mr. Rudy has handled, as lead counsel through trial, approximately 30 court and jury matters involving wrongful termination and/or employment discrimination. Mr. Rudy has been nominated to Best Lawyers in America, Woodward/White from 1991 to the present. He is a Fellow of the College of Labor and Employment Lawyers and the International Academy of Mediators. Mr. Rudy is a member of the Bar Association of San Francisco, and served as Chair of the Labor and Employment Section (1990-1992). He is also a member of the State Bar of California and served as Executive Committee Member of the Labor and Employment Law Section (1990-1995). Mr. Rudy is a former Board Member of the San Francisco Trial Lawyers Association (1989-1992). 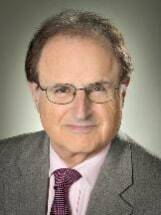 Mr. Rudy has authored and co-authored numerous publications and has spoken and written widely on employment law, class action, and alternative dispute resolution issues. For All Mediation Inquiries: Contact Janet Clark, Legal Asst. [email protected] or call 415-982-1457.